Blocking Ads just got easier on Google Chrome. In this article, I will tell you about two Google Chrome extensions that can be used to block advertisements. The extensions are lightweight and won’t make your browser slow in any way. Are you tired of annoying pop-ups when you visit a web page? Are you always being redirected when you try to open a website on your Google chrome browser? So many people think that the redirects and pop-ups are strong indications of virus or some sort of malware. Well, yes. A pop-up or redirect might occur on a browser due to virus or malware, but most times that’s not really the case. Before I tell you how to block Ads on Google Chrome, I want to make something clear. Personally, I think Ads are great. Why? Well, most websites you visit give you free information without getting a dime from you and through Ads, website owners make money and keep their websites up and running for you. An estimated percentage of about 70% of websites you visits make their money through advertising. So we can generally say that Ads are good. Now, the issue is that website owners become too money cautious and forget about their visitors or users experience. Ads get in the way, users are sometimes tricked to click Ads and so on. Like I said earlier, ads are good, but when website owners want to increase their ”click-through rate” so badly, they insert ads at annoying places, not minding user experience. When websites owners do this, they leave their visitors with two options. This article is dedicated to teaching you how to block Ads on Google Chrome. Trust me when I say that after reading this post and applying its techniques, you will never see those ads again or experience those redirects again. 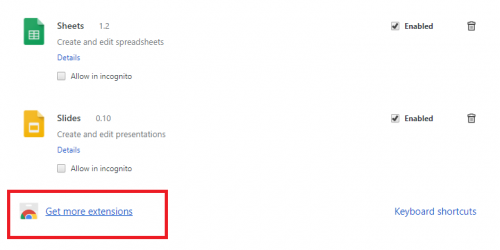 You may notice that after using these extensions, certain pages will still show pop up’s. The pop up’s on websites like this might not really be advertisements, they might be a call to action that the website owner has put on their website in order to generate sales or income from you subscribing. Am I talking too much? Please forgive me. So, you want to block Ads on Google Chrome and keep your browser clean with no distractions whatsoever? Here are some methods to block ads from ever showing again. You will basically need to Install certain plugins or extensions on your Google Chrome browser. I will show you two extensions for Adblock on Google Chrome that can be used to block Ads from showing on your browser permanently. Let’s begin. I decided to give you what I personally use to block Ads on my Google Chrome browser. With over 75,000 plus downloads and reviews, fair Adblocker works like magic. It blocks Google Ads, Media.net Ads and other Ad networks from showing on your browser. Here is how to use it. 2. Click on the menu button, more tools, and select Extensions. 6. Click on ”Add extension”. If you followed the steps correctly, Fair Ad blocker will be installed on your Google Chrome browser and will start running automatically. You really don’t need to do any tweaking or set up. The default settings are set to block ads, tracking, adware, and pop-ups. If you want to go deeper you can head over to the settings and tweak to your taste. Adblock is yet another Google Chrome extension used by a lot of users. As the name implies ”Adblock” it’s duty is simple, block advertisements. With this Extension installed on your Google Chrome, you won’t have to worry about Ads anymore or annoying pop-ups. The steps to installing Adblock is the same as that of Fair Adblock. Just click on the Google Chrome menu button, click on more tools and extensions, click on get more extensions, search for Adblock and finally add to chrome. Once added to Google Chrome and activated, Adblock will automatically begin its job and block all Ads on Google Chrome. Adblock has a lot of tweaks and settings that work in different ways and for various tasks. Just dive into the settings and tweak settings to your taste. And that’s a wrap. 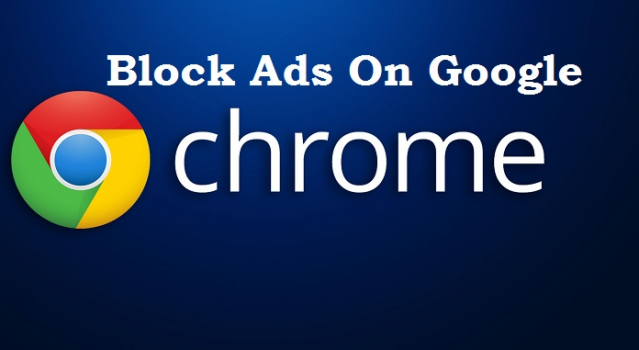 I bet you will have no issues concerning blocking Ads on Google Chrome. This post contains some of the best Google Chrome extensions that are designed to block advertisements. If after using any of the extensions on Google Chrome you still notice annoying Ads don’t panic. Just trying restarting your browser or try re-installing the extensions. Q: Can I unblock Ads whenever I want to? A: Yes, just head over to the settings and tweak it as desired or disable the plugin till whenever you want to block Ads again. Q: I have installed both extensions and Ads are still showing. A: This is almost impossible, but if for some weird reason you are faced with this issue, the cause might be a virus or some malware. You can use a paid Antivirus to scan for viruses. Q: Can I use the extensions on UC browser? A: The extensions can be used on Google Chrome and UC browser too.